These stylish tinted prescription glasses make us proud to be in the four-eyes club! 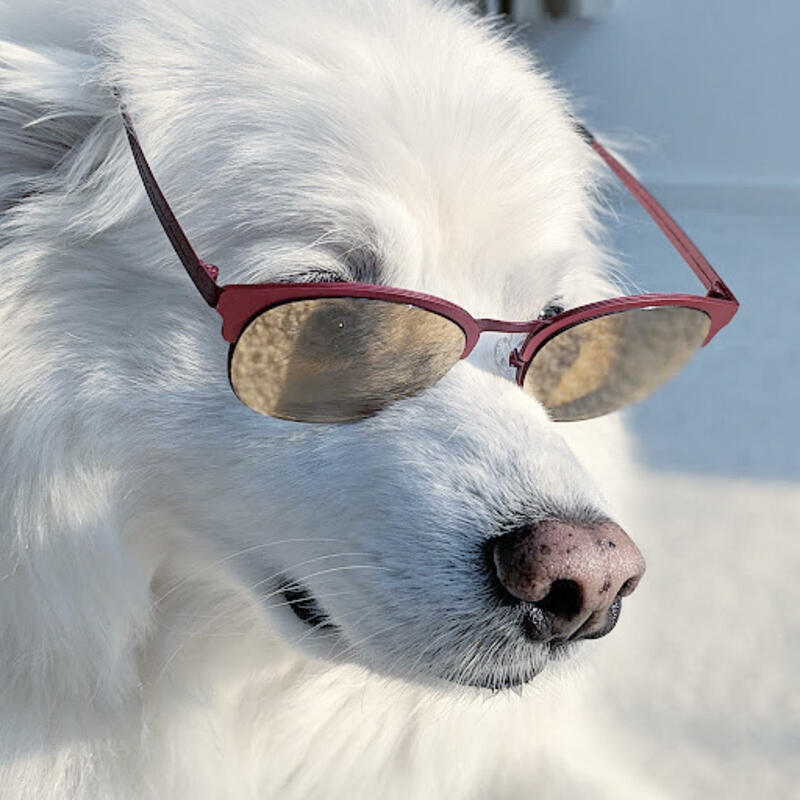 American Eskimo Dog takes on Fashion Eyewear! 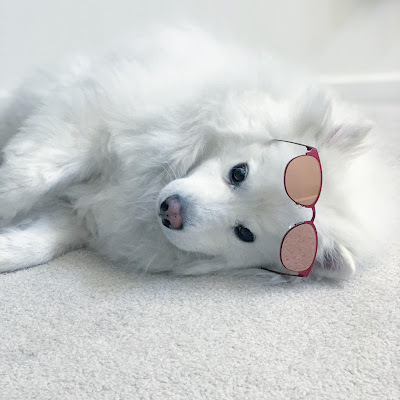 Ruckus the Eskie is excited to show you a new Zenni accessory item to add to your fall wardrobe! There were so many fun and chic frame and lens designs to choose from. 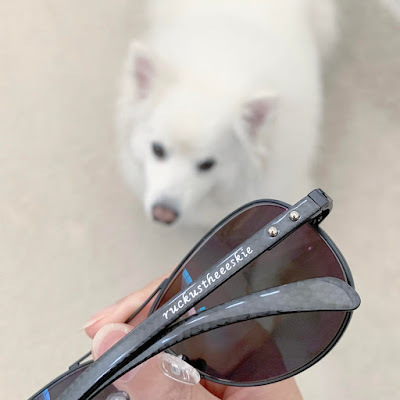 Ordering these glasses was pretty simple --after selecting the frame and lens, and then inputting the prescription with the papillary distance, the high-quality glasses arrived at our doorsteps. We even were able to even able to go through and look at the reviews for each frame to see what other customers experiences were and their likelihood of recommending to a friend. We opted for the tinted prescription glasses since we are in sunny California after all! They are perfect for driving (aka chauffeuring) Ruckus around town. The red style shown above is the Browline Glasses 137118. Looks like Ruckus makes his mark on everything we own! These are affordable and stylish... so much that Ruckus will want to sport them. now that is the official stamp of approval! Sponsor Disclaimer: This post is sponsored by Zenni. 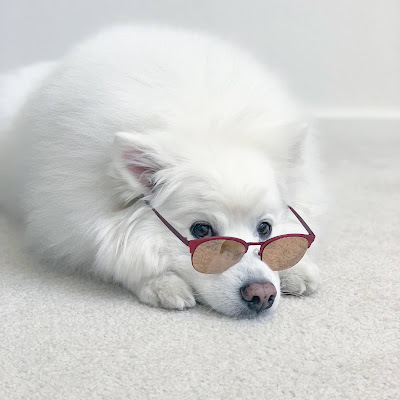 I am being compensated for helping spread the word about Zenni, but ruckustheeskie.com only shares information we feel is relevant to our readers. Recta Administrativo Brasílico, 28ª edição. visitorѕ, who are ѡishing for blogging. Good respond in return of this query with firm arguments and describing the whole thing on the topic of that. It's remarkable for me to have a web site, which is good designed for my knowledge.